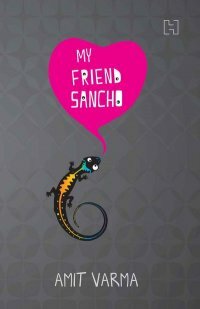 My first book, My Friend Sancho, was published in May 2009, and went on to become the biggest selling debut novel released that year in India. It is a contemporary love story set in Mumbai, and had earlier been longlisted for the Man Asian Literary Prize 2008. To learn more about the book, click here. My posts on India Uncut about My Friend Sancho can be found here. When crime reporter Abir Ganguly is called out by the police to cover a routine arrest one night, the last thing he expects is a shootout. But bullets are fired, and a man is dead. Did the cops screw up? Abir's boss, not knowing that he was at the scene of the crime, wants him to file a story about the victim. For this, he must meet Muneeza, aka Sancho, the dead man's teenage daughter. Over the next few days, an unlikely friendship forms between the glib, wisecracking 'armchair cynic' and the simple girl who 'travels on buses'. Can their fragile relationship survive the circumstances that brought them together? More importantly, can it survive the machinations of the jealous lizard that shares Abir's flat? My Friend Sancho was longlisted for the Man Asian Literary Prize 2008. Click here to read Chapter 1 of My Friend Sancho (pdf link).